The Virginia Harris Cockrell Cancer Research Center at MD Anderson Cancer Center, Science Park is a basic science research campus located in the Lost Pines region of Central Texas near Smithville, in close proximity to Austin. Home to the Department of Epigenetics and Molecular Carcinogenesis, our overarching mission is to investigate the molecular biology of cancer and to develop means for cancer prevention and detection. The Science Park provides an ideal setting for scientific research, education, conferences and workshops. The overall goals of our research programs are to understand the basic mechanisms of carcinogenesis, identify new targets for prevention/therapy, identify new markers for early detection, and identify genetic determinants of cancer susceptibility. As the largest of six basic science departments at MD Anderson, the Department of Epigenetics and Molecular Carcinogenesis makes substantial contributions to the research and education missions of the institution. Departmental faculty provide leadership to one of the major basic science programs in the Cancer Center Support Grant (CCSG) from the NCI: the Program in Cancer Genetics and Epigenetics. 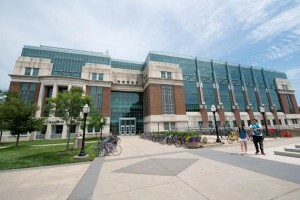 Faculty members also serve as directors of two of the seven centers within the Institute of Basic Science: the Center for Cancer Epigenetics and the Center for Environmental and Molecular Carcinogenesis.